I have been to Baja California many times, I have even sped past Danzante Bay while taking part in the Rally Historico. For me Baja has always been about speed, blasting across the vast untamed desert with no time to stop between checkpoints. 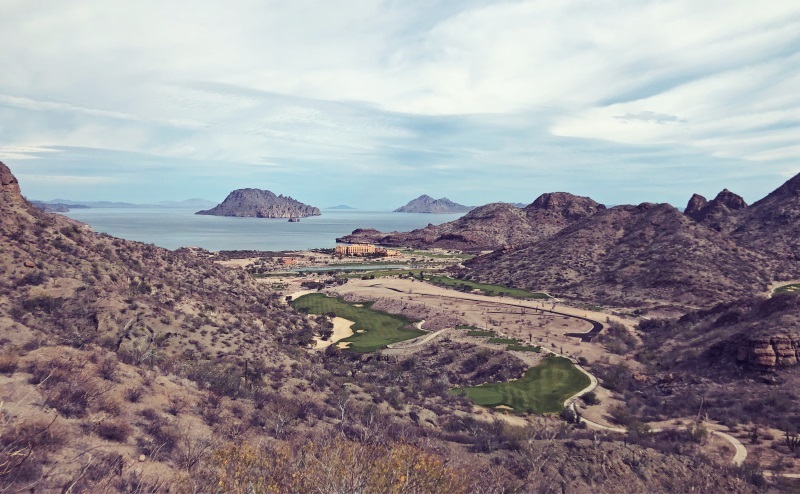 But this past week I was invited out to explore a different side of Baja at Villa del Palmar Beach Resort & Spa at The Islands of Loreto. 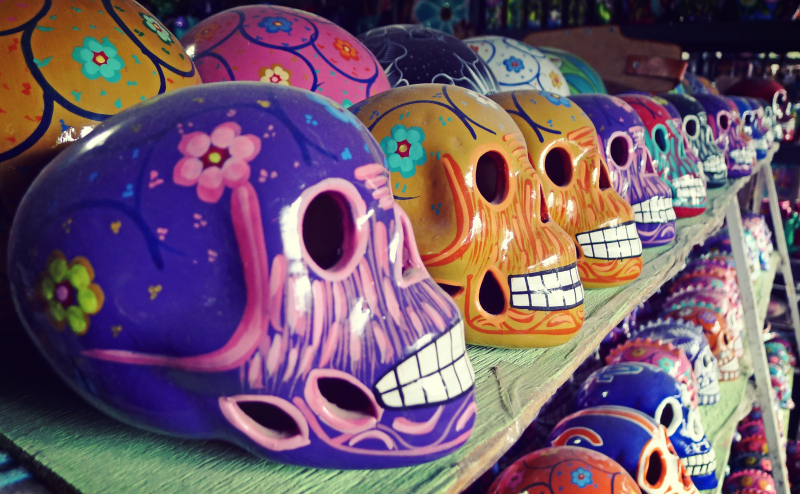 Loreto, a small fishing village on the Gulf of California, is rich with history. Founded in 1697 by Jesuit missionaries and was the first colonial city in what is now Baja, California. 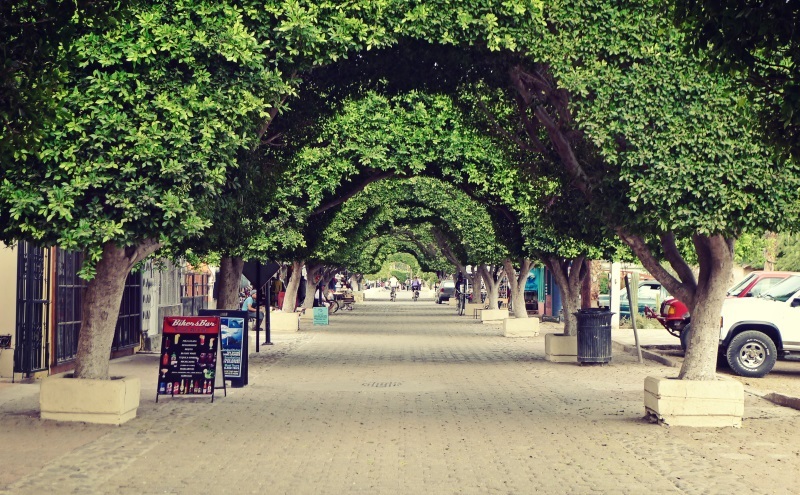 Today it boasts a quaint downtown with tree-lined streets, shops, historic hotels, restaurants, a beautiful waterfront and is coming into its own as a destination, largely to properties like Danzante Bay. Villa del Palmar is the perfect private retreat, tucked away in a small valley overlooking the bay the hotel is the center of the Danzante Bay development which boasts world-class golf, swimming, a private beach club, kayaking, hiking, a gym, the full-service Sabila Spa, whale watching trips, and so much more. 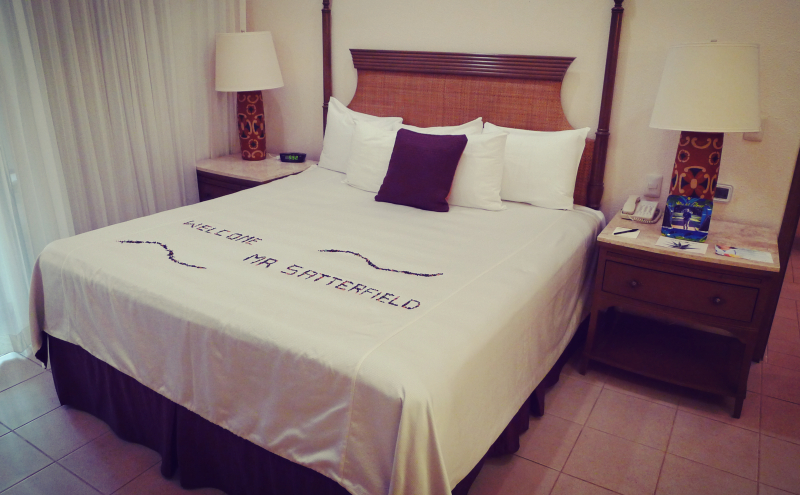 The all-inclusive resort offers standard hotel packages, time-shares, and is currently building out an extensive neighborhood of private homes surround the golf course. My room was larger than most apartments; with two bathrooms, a full kitchen, laundry room, bedroom, living room, private patio, and large jacuzzi tub. With casual, fine dining, and a market on property the Villa del Palmar means you don't need to leave the property to enjoy your vacation. We enjoyed several meals prepared by award-winning Los Angeles based chef David Fuerte who brought his own fresh take on many traditional favorites. While I didn't always stick to the "wellness menu" there are plenty of options to choose from no matter which restaurant you visit, or if you like to cook, head over to the market and use the fully equipped kitchen to whip up your own homecooked favorite. Seeing as I was at the resort during one of their 'wellness weeks' meant I would have access to top personal trainers, yoga instructors, and even healthy cooking classes. The property hosts several different specialty weeks like this every year bringing in experts to teach classes and lead programs to help guests maximize their trip. I started most mornings with a 7:30 fitness class lead by celebrity trainer Rebecca Broxterman who's program quickly reminded me how out of shape I was, other mornings I would go for a hike, I decided to skip the Yoga. But I did enjoy the afternoon at the spa, a massage and hydrotherapy do wonders and the spa and staff are excellent. 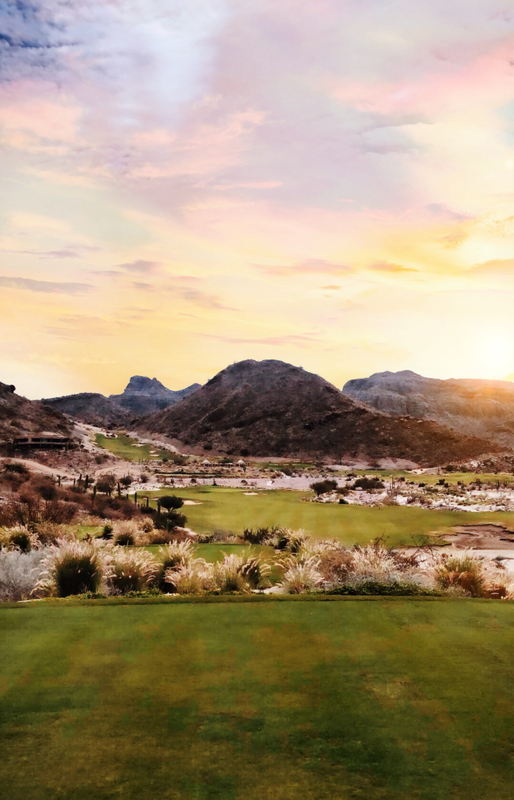 If you are a golfer the recently completed TPC Danzante Bay course has won awards from Golf Aficionado, Golf Digest, Golf Advisor, and Golf Odyssey, all proclaiming it the best new course of 2018. It is a challenging course, but what truly makes it special is the beautiful backdrops of the mountains and the sea. 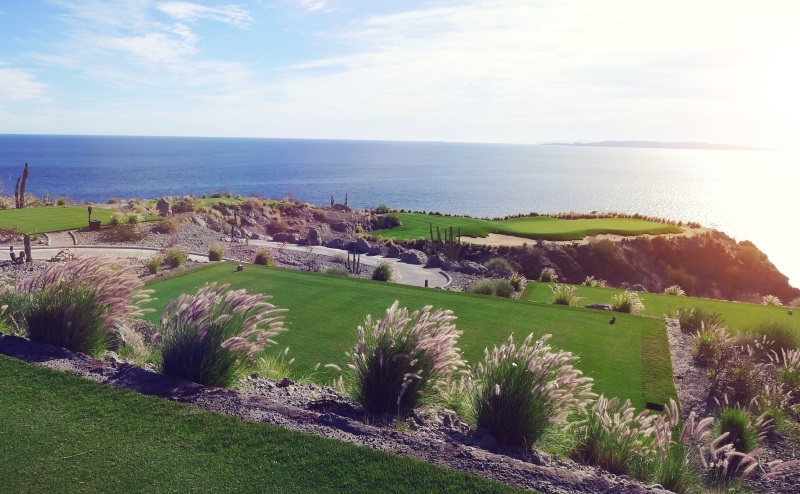 While the entire course is beautifully designed the view from hole 17 makes is truly breathtaking. Fees range between $99-$250, depending on the time and day, but the resort has all-inclusive golf/vacation packages that are a great value. 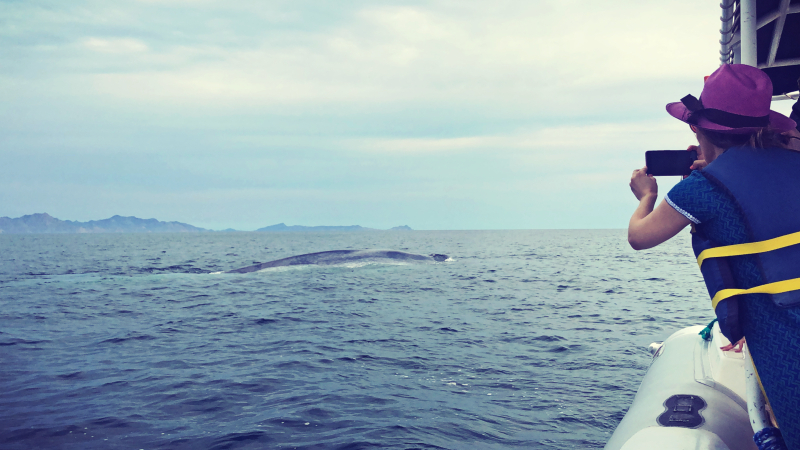 It being whale watching season we planned a trip to explore the bay and Gulf of California with the hopes of seeing some whales up close. After making it into the deep water of the Gulf we saw our first spout off in the distance, the small boat was able to maneuver quickly and got us very close to a young blue whale. The whales tend to be in the Gulf from January-April before moving back out into the Pacific and heading north. If golf isn't your speed the resort offers fishing excursions, island tours, snorkeling trips, and ATV adventures, I, of course, had to head out on a guided tour of the foothills and beaches just outside of the resort. 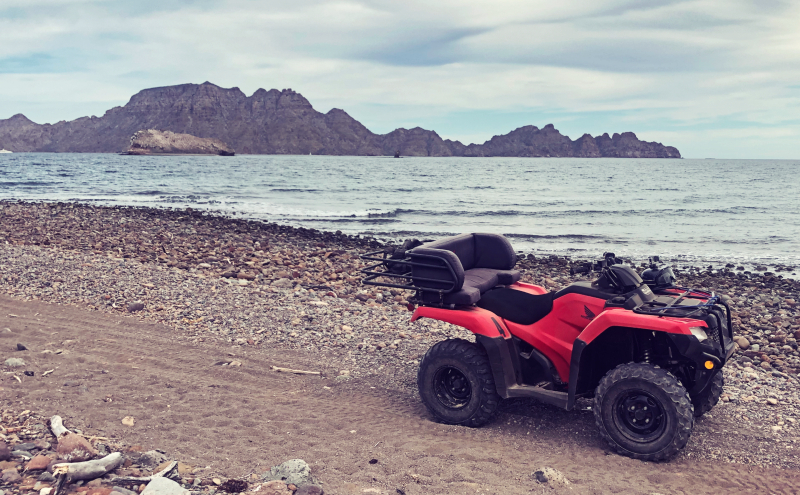 If you have never ridden an ATV, don't worry, these clutchless Hondas are very easy to ride and are very stable. Plus the guides are very attentive and make sure that no one is out of their comfort zone. 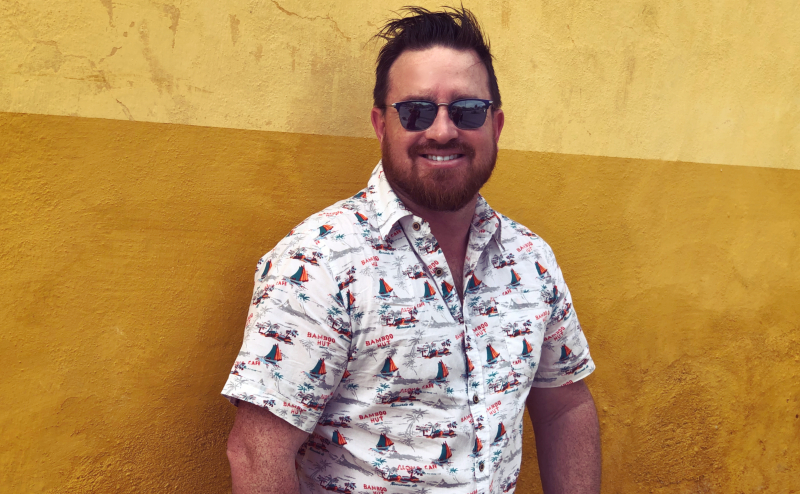 While I always encourage people to get out and travel more, many worry about traveling to foreign countries, while I am personally a little more adventurous, all-inclusive resorts like this can be a great stepping stone for international travel. Just be sure to take the shuttle to town and explore a little bit. 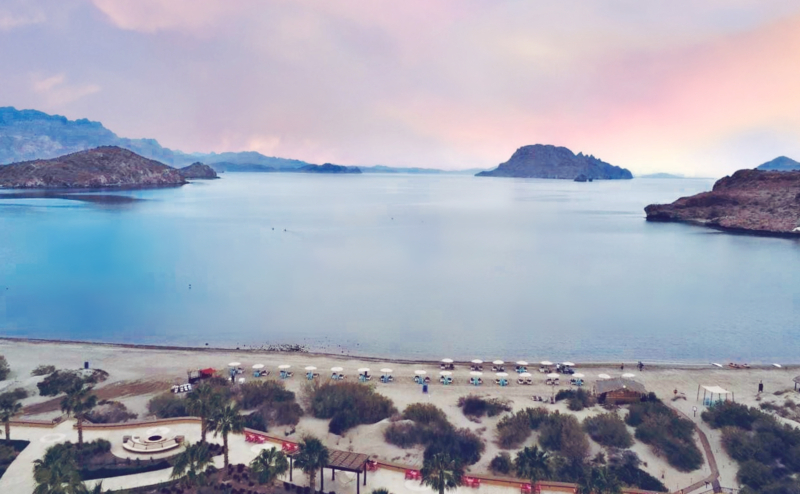 After just four short days, my time at Danzante Bay had come to an end, it was nice to take some time to explore the city of Loreto, take in the sand and sun of Baja at less than 75mph, make some new friends, and enjoy disconnecting for a few days and truly relaxing. For more information or to book a stay visit DanzanteBay.com.